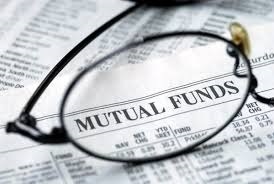 Tax law generally treats mutual fund shareholders as if they directly owned a proportionate share of the fund's portfolio of securities and you must report as income any mutual fund distributions, whether or not they are reinvested. Thus, all dividends and interest from securities in the portfolio, as well as any capital gains from the sales of securities, are taxed to the shareholders. Ordinary Dividends. Distributions of ordinary dividends, which come from the interest and dividends earned by securities in the fund's portfolio, represent the net earnings of the fund. They are paid out periodically to shareholders. Like the return on any other investment, mutual fund dividend payments decline or rise from year to year, depending on the income earned by the fund in accordance with its investment policy. These dividend payments are considered ordinary income and must be reported on your tax return. Tip: If you reinvest, add the amount reinvested to the "cost basis" of your account, i.e., the amount you paid for your shares. The cost basis of your new shares purchased through automatic reinvesting is easily seen from your fund account statements. This information is important later on when you sell shares. Example: In 2010, you purchased 100 shares of Fund JKL at $10 a share for a total purchase price of $1,000. Your cost basis for each share is $10 (what you paid for the shares). Any fees or commissions paid at the time of purchase are included in the basis, so since you paid an up-front commission of two percent, or $20, on the purchase, your cost basis for each share is $10.20 ($1,020 divided by 100). Let's say you sell your Fund JKL shares this year for $1,500. Assume there are no adjustments to your $ 1,020 basis, such as basis attributable to shares purchased through reinvestment. On this year's income tax return, you report a capital gain of $480 ($1,500 minus $1,020). One of the advantages of mutual fund investing is that the fund provides you with all of the records that you need to compute gains and losses--a real plus at tax time. Some funds even provide cost basis information or compute gains and losses for shares sold. That is why it is important to save the statements. However, you are not required to use the fund's gain or loss computations in your tax reporting. Tip: Because a tax credit provides a dollar-for-dollar offset against your tax bill, while a deduction reduces the amount of income on which you must pay tax, it is generally advantageous to claim the foreign tax credit. If the foreign tax doesn't exceed $300 ($600 on a joint return), then you may not need to file IRS form 1116 to claim the credit. If you have any questions about the tax treatment of mutual funds, don't hesitate to call.